During 2011, Sue was invited to speak about period frames and her work as a gilding conservator. The resulting presentation: Period Frames: History, Materials & Conservation was given to the docents at The Currier Museum of American Art, Manchester, New Hampshire and then the Springfield Museums, Springfield, MA. 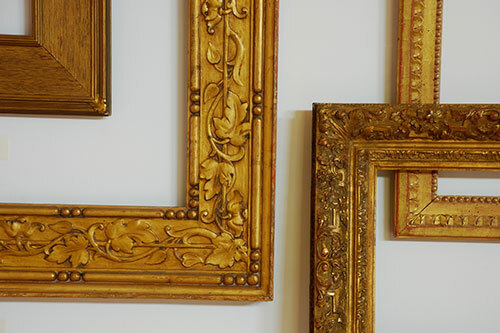 The talk covers a brief history of frame styles, the basics on the art of gilding, how to distinguish between different gilded surfaces and the process of gilding conservation including examples from a variety of projects. She will be giving this same presentation on Friday, February 10th at 7:30 pm as part of the Warner Free Lecture Series at Volunteers Hall, Harvard Public Library, Harvard, MA. You are invited to attend. Sue is also available to lecture your staff or organization. Please contact her for scheduling.